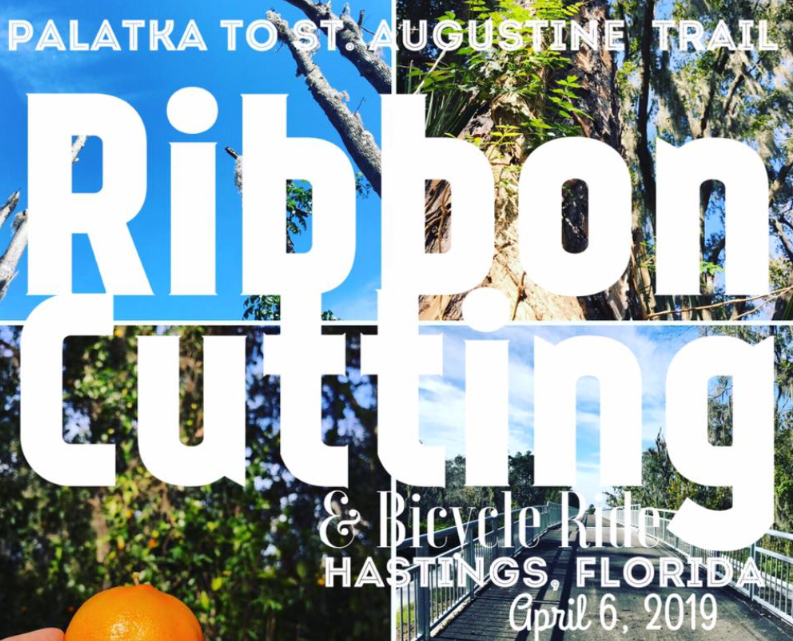 Bike Florida, in support of trails, the #cyclingeconomy and our friends at VeloFest & Putnam Blueways and Trails CSO, are proud to provide the inaugural "Ride to the Ribbon Cutting" April 6, 2019. This historic event marks the completion and completion filling a significant gap in the Palatka to St. Augustine Rail Trail. Riders will have the chance to see old Florida beauty and tour historic St. Johns and Putnam County. This ride is great for the slow roll, families, the young and the young at heart. Not interested in riding? Help out by volunteering or purchase a commemorative shirt designed by local artists. Ride starts at 9:45 am, immediately following the ribbon cutting on the trail at Main Street in Hastings. The route will be mostly rail trail that will take you to Palatka, a beautiful town situated on the St. Johns River. First there is a 10 mile out and back to Armstrong. Those wishing to go further will ride to Palatka and back for a grand total of 32 miles. When registering you will have the option of giving a donation to SEA Community Help and Resource Center based in Armstrong Florida. 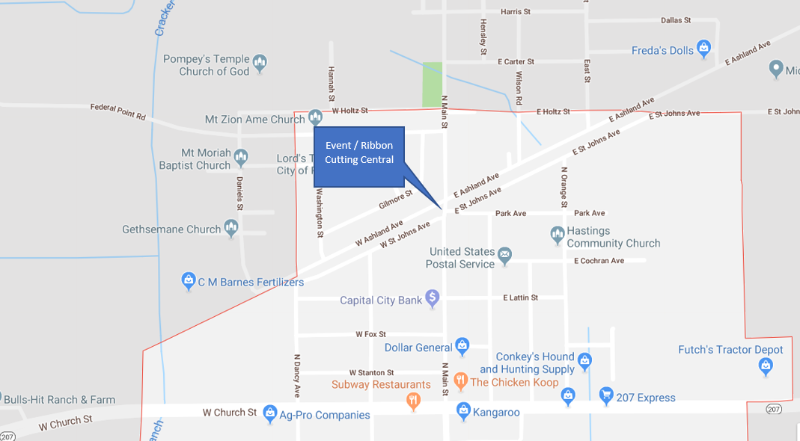 The SEA Community's mission is to help others cross over the sea of sub-standard housing, homelessness, hunger, etc., by meeting the needs of the families and individuals in the Spuds, Elkton, and Armstrong communities!